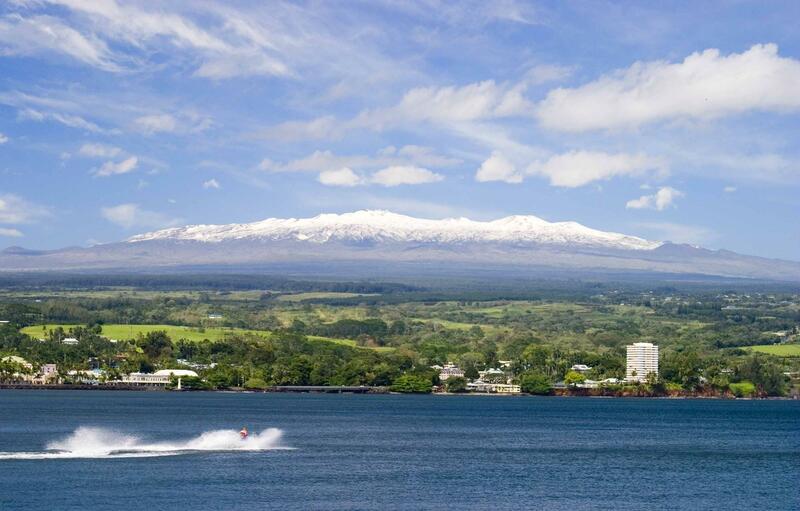 A snow-capped Mauna Kea as seen from Hilo Bay. Final oral arguments in the contested case hearing for the Thirty-Meter Telescope land use permit will be heard today in Hilo. Parties to the contested case will make their case before the state Board of Land and Natural Resources. HPR’s Ku’uwehi Hiraishi tells us what we can expect. 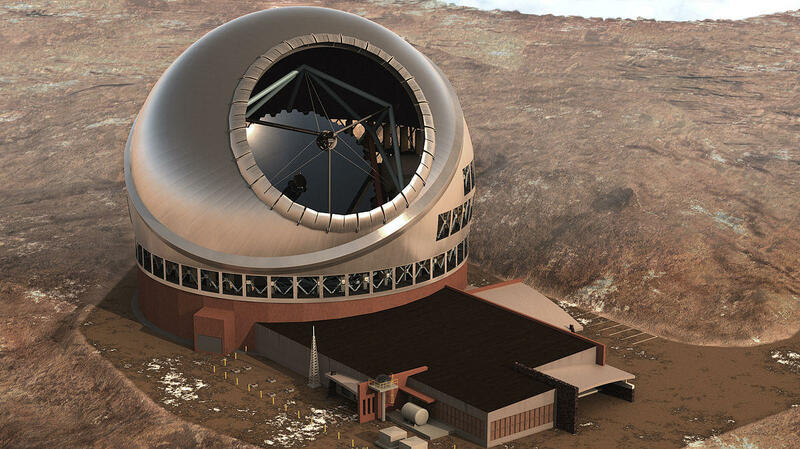 The state Board of Land and Natural Resources’ is about to make its biggest decision of the year - whether to issue a land use permit to allow construction of the Thirty Meter Telescope on Mauna Kea. For anyone who hasn’t been following the contested case hearing, UH Law Professor David Forman explains. 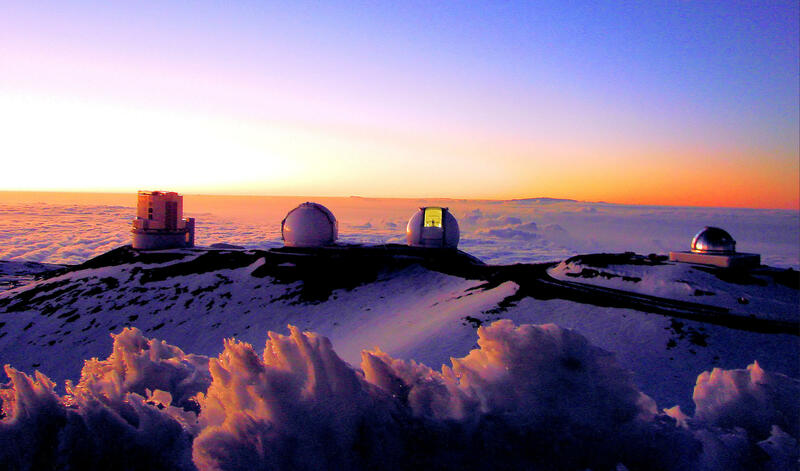 Mauna Kea is the world's best spot for astronomy and stargazing. The summit is home to 13 telescopes and observatories. After five months of testimony, hearing officer Riki May Amano found the application met the criteria and urged the Board issue the permit. She added 31 conditions to the recommendation, including mandating cultural training for employees, $1 million for STEM education, and more. “Now the Board will hear oral arguments based on the parties’ exceptions to that recommended order to try to convince the agency either approve, deny, or modify the permit,” says Forman. 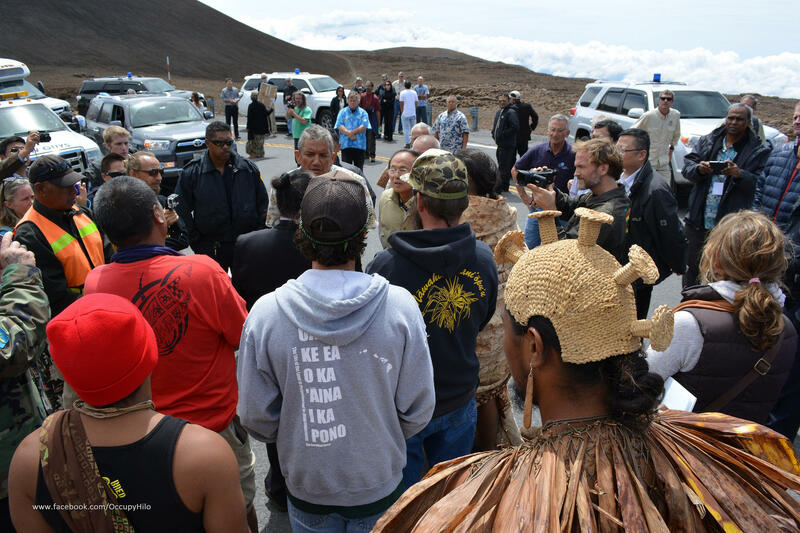 Opponents of the Thirty-Meter Telescope on Mauna Kea consider the mountain sacred. Protests in 2015 blocked TMT construction convoys from reaching the project site. The Hawaii Supreme Court later that year voided the initial conservation land use permit granted to TMT and demanded opponents receive a Contested Case Hearing on the permit before it be re-issued by BLNR. Basically, the 23 parties to the contested case hearing will pick apart Amano’s 305-page recommendation. Hundreds and hundreds of pages of exceptions and responses to exceptions give us a preview of what to expect at today’s hearing. A discussion likely to be revisited is increased development on Mauna Kea. All but a handful of the parties to the contested case hearing oppose the TMT. Most of the exceptions filed by pro-TMT parties are clarifications and typo corrections. Scott Ishikawa, spokesman for the telescope, is pleased with the progress considering TMT’s tight timeline. The 180-foot tall Thirty-Meter Telescope will allow astronomers to answer questions about the physics of planet and star formation, life in other solar systems, and the beginnings of our universe. Kealoha Pisciotta, President of Mauna Kea Anaina Hou who stands in opposition to the TMT is cautiously optimistic. Snow-capped Mauna Kea as seen from Wai'olena, Hilo. Nonetheless, Forman says today’s hearing is mostly a formality with parties on both sides preparing for a Supreme Court showdown regardless of the board’s decision. The Contested Case Hearing begins today, September 20, 2017, at 9:00 a.m. at the Crown Room in Naniloa Hotel in Hilo, Hawaiʻi. Doors will open to the public at 8:30 a.m. Seating is on a first come, first served basis. There will be no reserving seatings. Signs, posters, and other displays will not be allowed in the Crown Room or on the hotel premises. All 23 parties will each have 15 minutes to make their case. The hearing will also be streaming live on Nā Leo TV. Nonviolent action has resulted in political change in recent history: in the American South, in Gandhi’s India, and in South Africa, just a few examples. 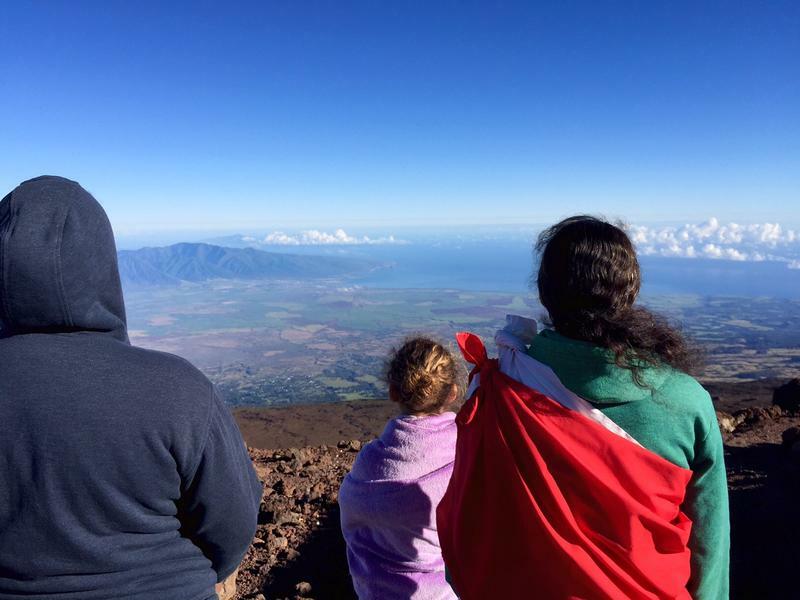 Now the self-described “protectors” of Mauna Kea and Haleakalā are rallying around a call for “Kapu Aloha”, a nonviolent mode of conduct that organizers say guides their movement. HPR’s Noe Tanigawa reports. This week we hear about a team effort on the Mauna Kea summit to assist with a NASA mission making an exciting planetary fly-by this week as HPR All Things Considered Host Dave Lawrence speaks with Christopher Phillips. 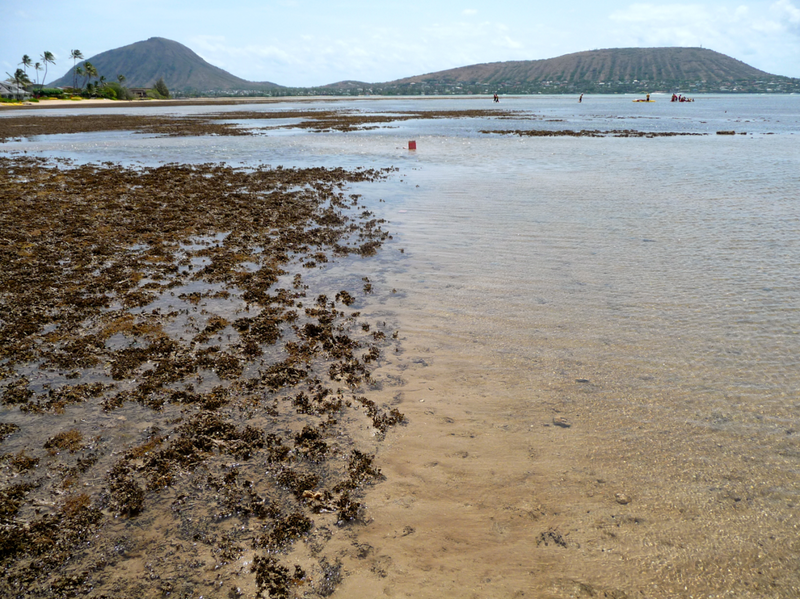 Invasive seaweeds have taken a stronghold on Hawaiʻi reefs over the last half of the 20th century, contributing to a decline in the health and productivity of once-thriving marine ecosystems. 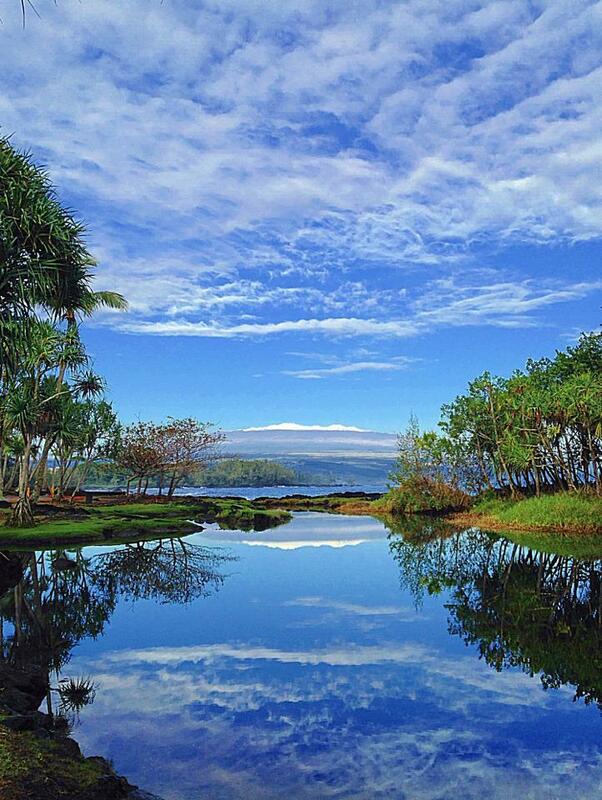 HPR's Kuʻuwehi Hiraishi visits one community that is fighting back. Natives are recolonizing urban Honolulu. Native birds, that is. The white tern or Manu O Kū is thriving in Hawaiʻi’s most populous city, and so is its fan base – the Hui Manu O Kū. 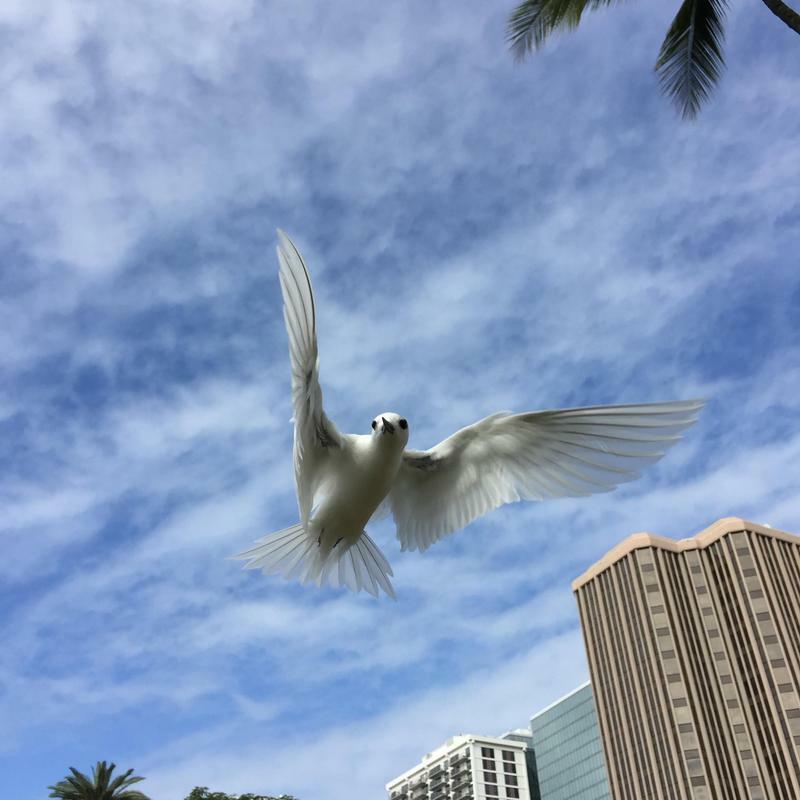 HPR reporter Kuʻuwehi Hiraishi joined a group of white tern enthusiasts on a bird expedition in downtown Honolulu.